The Capture Factory designed and developed Rodbaston Hall’s new website earlier this year. The previous website was looking a little tired and outdated. 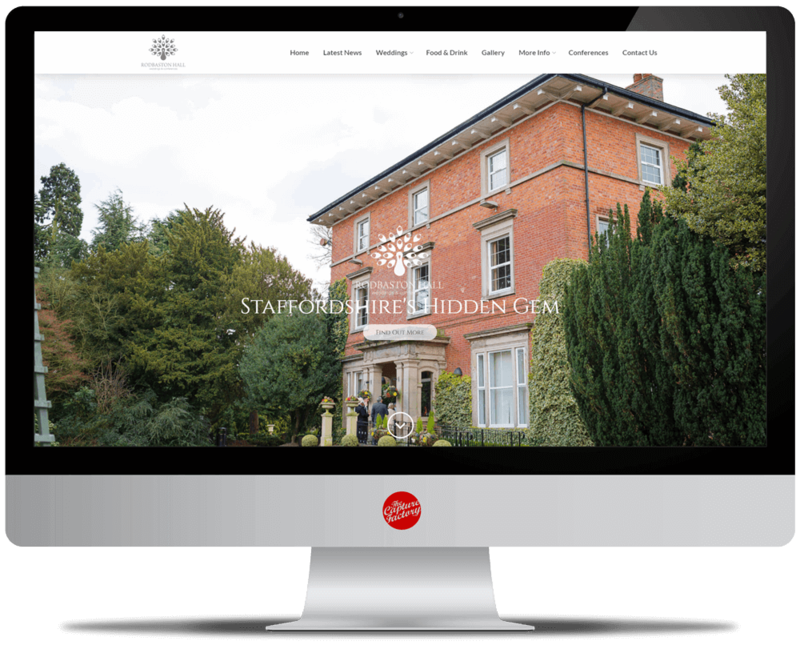 Rodbaston Hall required a new website appearance with updated, contemporary website design. They came to The Capture Factory with the idea of creating a modern website, with the extra benefit of being able to control the website itself. Their main aim was to simplify their website’s layout so that the information is easy to understand and straightforward to navigate. Our designer decided to showcase the venue using big, bold photographs. The greater prominence of imagery focuses the viewer’s attention on Rodbaston Hall and what they can offer as a venue. One of the main benefits of coming to The Capture Factory for their new website was to give them the ability to add new blog posts, and thus grow their visibility in search engines. We train employees on how to use the WordPress so they can make amends to their own website, without having to learn code. 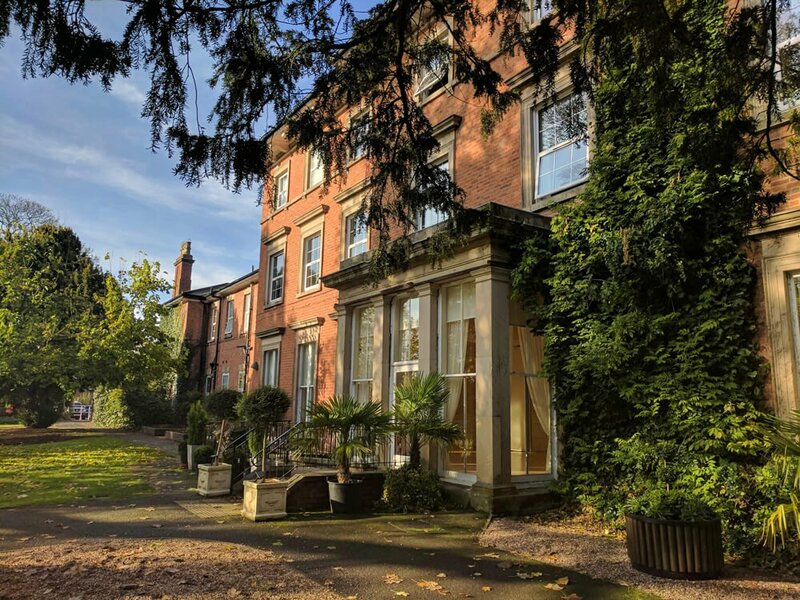 Being able to add new content to their website gives Rodbaston Hall the ability to showcase everything that is available at their venue. The business is currently looking to expand their website with a Conferences page. We worked to meet Rodbaston Hall’s budget without compromising on design or development. We spent a lot of time with Rodbaston Hall when working on this project. A member of Rodbaston Hall visited The Capture Factory’s office in Leek, Staffordshire to learn how to use and operate the website. They took part in our WordPress Training where they learnt how to edit text, images, links and make other necessary amendments to the website. The employee set up her own laptop on our desk and began adding posts to the website. She found it easier to concentrate on writing blogs at The Capture Factory’s office; and when she needed help or advice we could easily explain it to her immediately without any hassle. After visiting The Capture Factory I was extremely pleased with their dedication to helping my business succeed. Their approach to doing business is what differentiates them from other web design companies. Although SEO is a complex subject, the team managed to explain it in a non-techy way that was easy for me to understand. The studio is open for clients to come in to learn and work on their projects; it’s a fun and friendly atmosphere that makes working with them a pleasure. I was very impressed with the speed in which my website was created. The solution was perfect and was in line with my budget for my start-up company. This current one page website has the ability to grow and expand with my business. It has everything I need including the healthy balance of function and clean, professional design. Superb job, thank you. The Capture Factory is an incredible UK Web Company based in Staffordshire. Their focus is on websites, this is what they do day in and out and produce incredible work. I have chosen them for my website because, in an age of hacking, where you could lose your website overnight these guys have your back. They offer a training and support package that is second to none. A website is like a digital house for your business, so you need it to be built to last and that is what you get with The Capture Factory. We had a really basic website and we knew that we needed to improve it and that's why we contacted The Capture Factory in Leek. They did a wonderful job. Our website is now easier to navigate and now our customers can also book a table online too. We wouldn't hesitate in recommending the team at The Capture Factory if you want an excellent website. We chose The Capture Factory to build our school’s website because we wanted to be able to edit it ourselves. Not only would we gain 100% control, but we would also not incur further costs. They provided us with training so we could add news and updates throughout the pages whenever necessary. Being able to edit your own site is a huge benefit to our school. We would definitely recommend The Capture Factory for anyone requiring a new website. The team at The Capture Factory provided a great service when creating my beautiful website. They made the process straightforward, and all the staff offer friendly advice and support. I also required them to produce some professional photography to go into my new website. They photographed a model in their studio as well as on location. Thank you for everything! My website with The Capture Factory was produced quickly and easily to a reasonable budget. The site comes with some great features that they teach you how to use it in very simple terms. We like the fact that we can effortlessly swap out the images in the website without having to rely on a developer to do it for us. Capture factory has fantastic attention to detail with quality design solutions. The team helped us quickly turn around our website in a very short period, they were very flexible to suit every need. Would highly recommend their services. The Capture Factory team offer an honest service in a genuine, friendly manner. Not only do they keep things simple, they are always willing to help and offer assistance whether it be on the phone or face-to-face. Their knowledge of the web is very impressive and they share it all with their clients. In addition they really get branding and the power of imagery, video and well written, effective content. I enjoyed working on my project with The Capture Factory. Everything was explained in an easy to understand manner. Since the project has finished they still provide support and help with any issues I have on the website and they even helped me migrate my email to the Office 365 platform. Thank you from all at 4Paws petminding, dog walking & dog training! Would like to say a huge thank you to the guys at The Capture Factory for their ongoing support with my website. Richard and Rhys, and the rest of the team, have been incredibly supportive throughout the entire process. They have masses of talent, imagination and creativity, I would not hesitate to recommend them! Well what can I say. These guys have taken my business to level that I have always wanted to be. Helpful, genuine and always willing to help at the end of the phone. Brilliant. Great guys to know. Always helpful and tend to explain things in easy-to-understand terms. Richard and Rhys were on hand to help when our website security failed and effectively destroyed the site. They recreated it in a far more user-friendly format and we were so pleased with the results that we asked them to create websites for our other companies as well! Highly recommended. A truly creative team, the Capture Factory have really helped to move our business forward. We have worked with these guys for a number of years on projects ranging from brand design to developing our systems using the latest web based technology. They really get into your business and become an important part of your team.